Winter has proven as the perfect time to replace bits and pieces of your wardrobe (and the worst time to do anything involving outdoor activities - hi there 6°C mornings. Also hence any noticeable goosebumps above). I realised that I tend to profess my love for all of those different patterns and colours that you see on the great Australian Fashion blogs (Gary Pepper, Kani etc. ), yet my wardrobe has a certain pattern of black, burgundy and navy running through it, with a few statement pieces here and there. 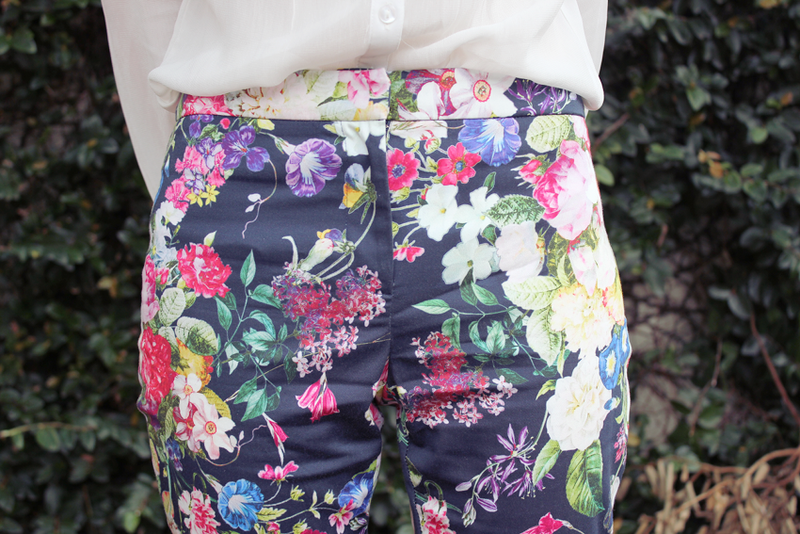 Deciding that it's finally time for a little change, I figure these floral pants are a good stepping stone. 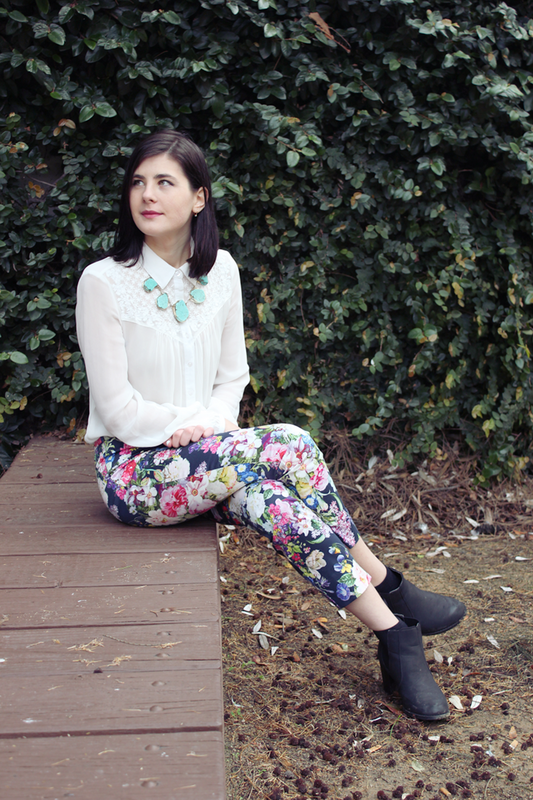 What a lovely outfit, amazing pants and love your necklace! You look stunning as always! This outfit is so perfect, your balance of color and proportion is spot on! 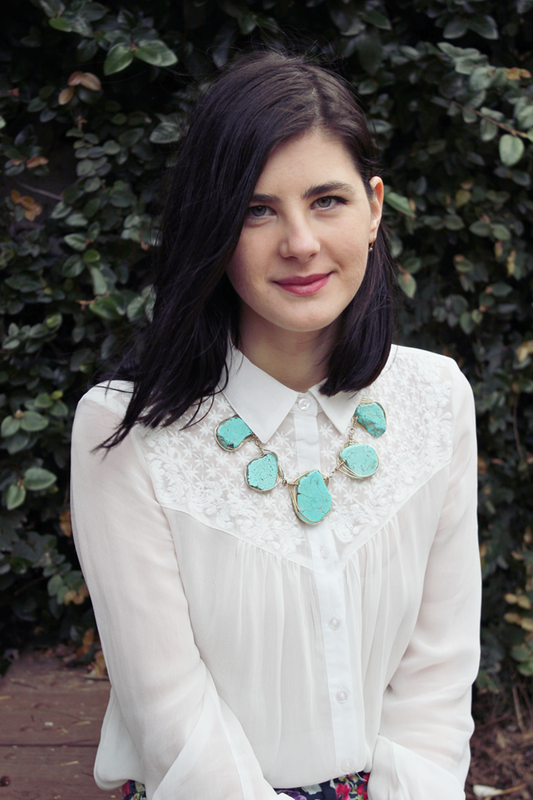 I recently was nominated for the Liebster Award by another fellow blogger livechicly. I have now nominated you for the Liebster Award! Go to my blog page http://bigcitytobackroadfashion.blogspot.com/2013/07/nominated-for-liebster-award.html to find out details of your nomination and what to do next! 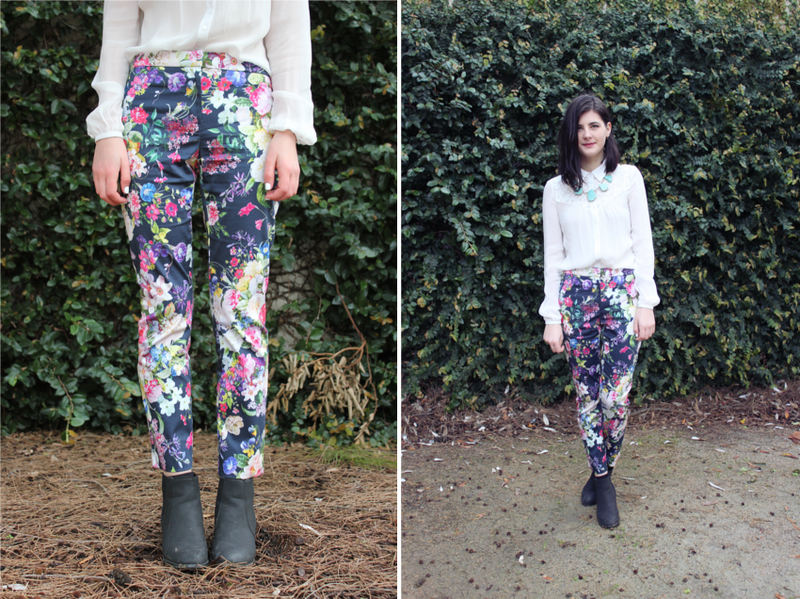 So in love with those floral pants! what a lovely outfit! I love your shirt and adore those pants! !